Priced to Sell..This Well Maintained, Custom 4 Bed/2 Bath Country Home is Move-In Ready. This home shows Pride of ownership! 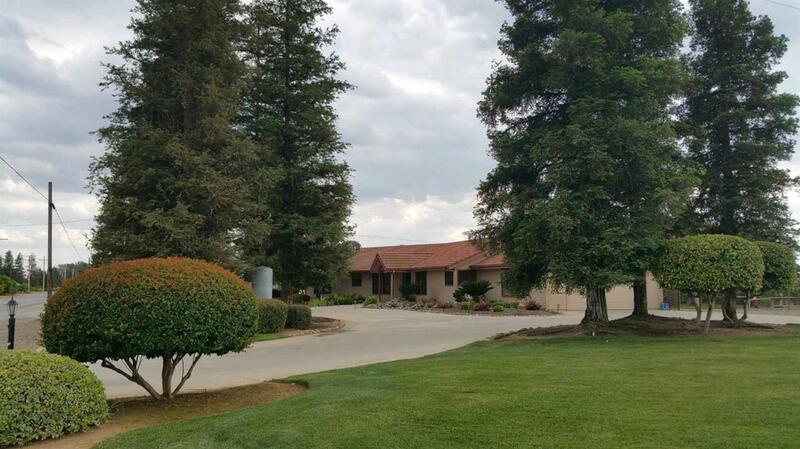 Views of The Sierra Mountains & Private Country Living, this Property has it all. Lg Circular Driveway w/Beautifully Landscaped Grounds that include a Pond w/Waterfall. This Home features Very Tasteful Upgraded Laminate Flooring throughout! Kitchen has been Upgraded with New Chiseled-edge Granite, Newer Appliances/SS Bosch Dishwasher, SS GE Double Oven,SS Farm Sink,SS Stove Hood and Upgraded 5 Burner Ceramic GE Stove Top. Attention to Detail is Everywhere You Look! The Master Ste features a Walk-in Closet, Patio Access with remodeled Shower and New Granite Countertop. A spacious Sun/Bonus Rm (not included in Sq.feet) a Shop and RV Parking.The home is currently operating on a Good Well 212ft deep. There is also a Newer Backup well (approx.4yrs) that is 340 ft Deep. With over 2 Acres there is Plenty of room for Horses, Planting or build a Large shop. Listing provided courtesy of Linda Ann Salmon of Modern Broker, Inc..